Atmosfär chambers have been specifically designed for fully automatic testing in accordance with highly demanding laboratory-accelerated corrosion tests which have become increasingly popular in some sectors of the automotive industry. These tests are cyclic in nature and comprise of exposure under controlled and varying conditions of temperature and humidity, with intermittent spraying of a salt solution directly on to the samples under test, from a high level swaying spray bar. The Volvo & Ford CCT test standards are unlike other automotive corrosion tests in the way the salt solution is applied to the samples. 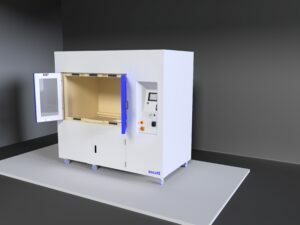 The application method is to spray this solution directly on to the samples under test from a swaying spray-bar, located high above the samples. 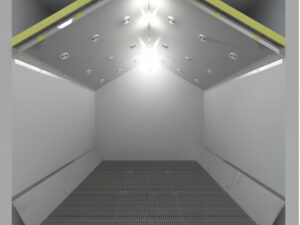 During this phase of the test cycle, the spray bar sways backwards and forwards inside the chamber, spraying salt solution from an array of specially selected spray nozzles, each with a ‘fan shape’ spray pattern. This creates a uniform spray which is then ‘swept’ over the surfaces of the samples under test, as the spray bar sways backwards and forwards. 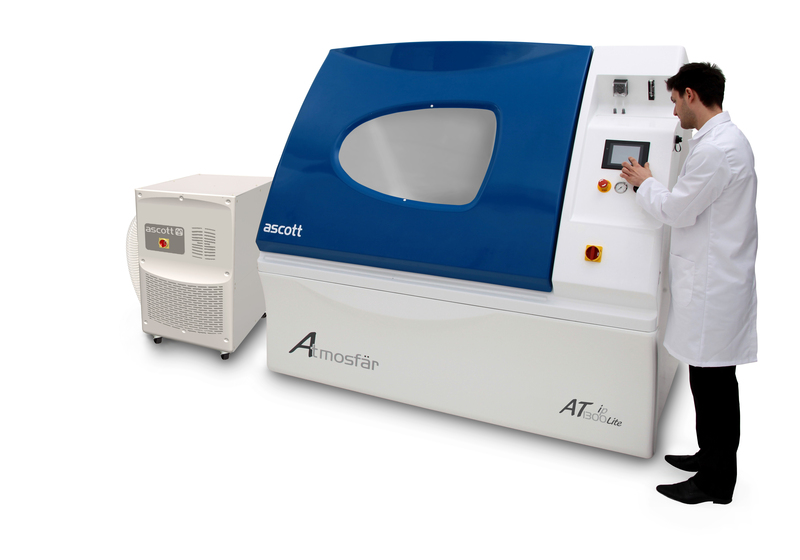 However, thanks to its unique design – featuring a novel magnetic drive system for the spray bar, this can also easily be removed to allow the chamber to comply with other more conventional salt spray and CCT specifications, using the usual Ascott salt spray atomiser which is also fitted as standard. 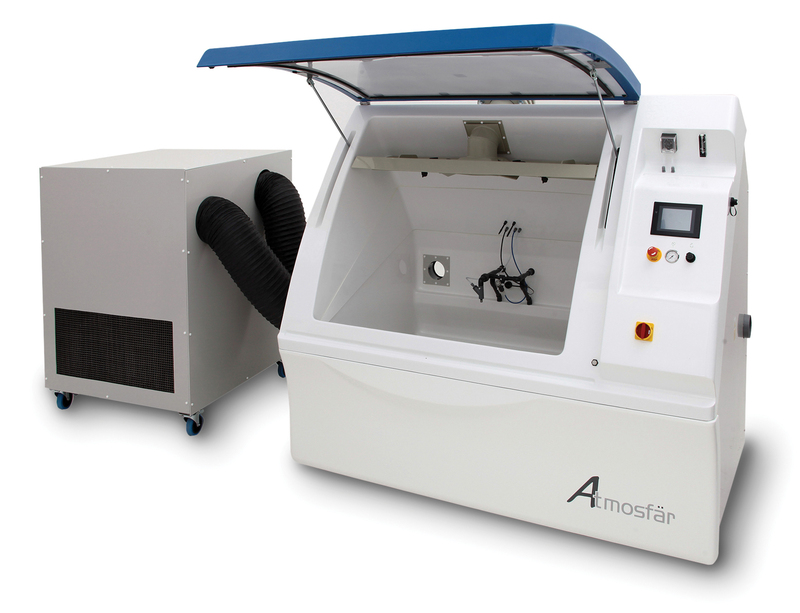 In addition, the Atmosfär is supplied with a separate refrigerated air conditioning unit which circulates temperature and humidity controlled air through the chamber. This is required at certain points in the above tests in order to achieve low controlled humidity levels as well as rapid rates of change to the temperature and humidity. 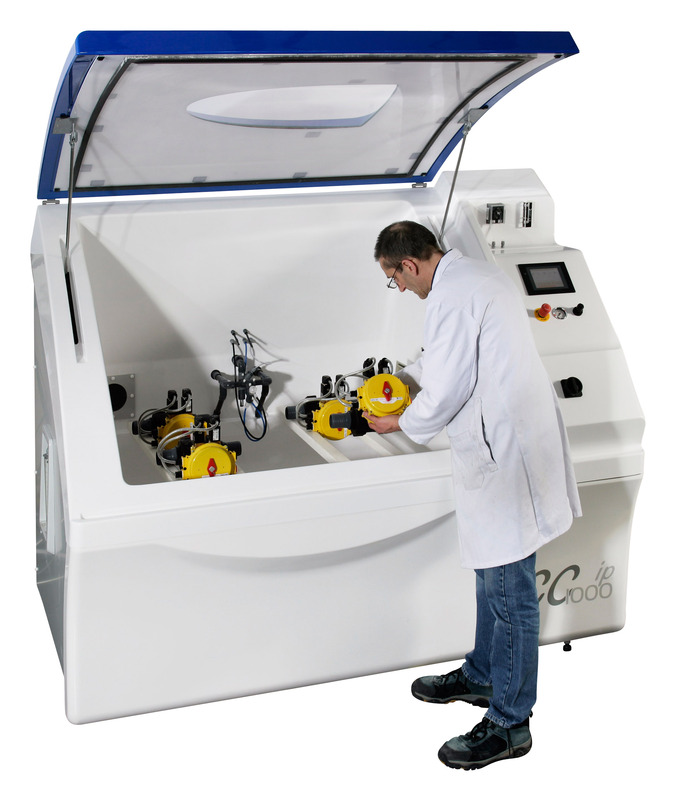 This unit also has the ability to refrigerate the chamber to –20C, if and when required by other tests standards, or if the user is interested in examining the performance of their products under freeze/thaw conditions. Spraybar with spray from above, directly on to the samples. Can be removed from the chamber if conventional salts pray test is too be performed inside. The operating software has a very large capacity for the creation of complex multi-step test programs, so that the widest possible range of test profiles can be accommodated. Electricity supply Two 3-phase electrical supplies are required (one for the chamber and one for the separate air conditioning unit). The voltage (VAC) and frequency (Hz) are dependent on country/region of installation (to be confirmed at the time of ordering). Water The air saturator, humidity generator and salt solution reservoir all require separate connections to a continuous, pressurized deionized/distilled water supply of 2.0–5.0 bar (29–73 psi). Air Clean dry & oil free compressed air, 4.0 to 6.0 bar (58-87psi) with 240 Ltrs (8.5cu.ft) per minute flow. Two separate supplies are required, one for the chamber and one for the separate salt solution reservoir. Exhaust 3m (10ft) exhaust pipe is provided which should be terminated outside building. Drain 3m (10ft) drain pipe provided which should be terminated into floor level drain. Operating environment conditions Indoors, with ambient maintained at +18 to +23°C (+64 to 73°F), 85% max RH (non-condensing). 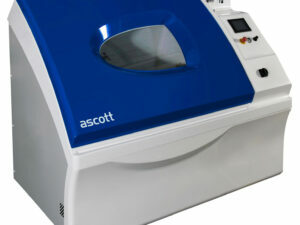 ll Ascott test chambers are supplied complete and ready to run. Optional accessories may not therefore be necessary, but some may be considered desirable.